In an attempt to get myself and others hyped about the 2016–17 NBA season, I brainstormed several different preview ideas. Many outlets are doing team previews, but this is a player’s game, damnit. Why not take my favorite and/or most interesting player from each team and write a l’il somethin’ somethin’? I decided to write them in order of my projected finish for that team. I probably would have had the Pistons higher, but a month or more without Reggie Jackson hurts their case, especially when I expect the Bucks, Wizards and Knicks to be better than last year. Someone had to drop, and it was them. 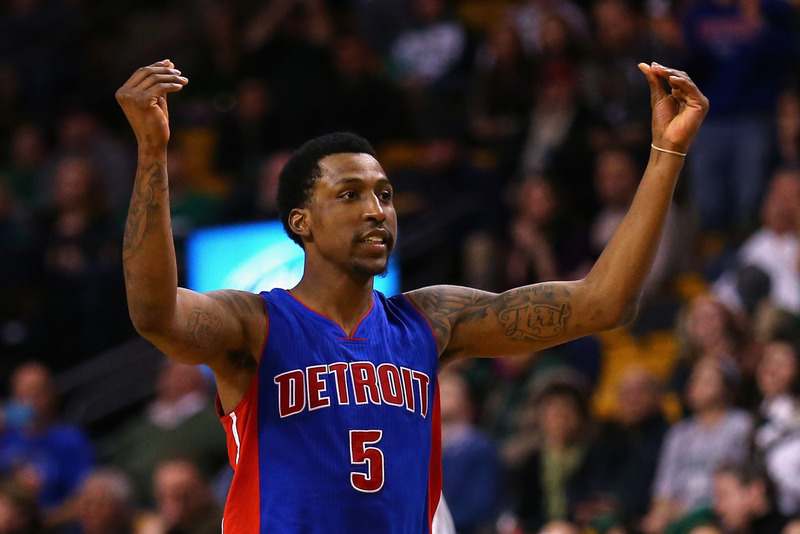 To stay them afloat, they’ll need Kentavious Caldwell-Pope to make a significant leap. KCP is the prototype for an NBA two-guard. He’s a deadly shooter, plus he’s athletic and crafty enough to create space off the dribble. Most people would even consider him a “plus” defender. So why don’t we hear more about him? That career-killing “C” word. Consistency has been a huge issue. He’s considered a “shooter”, yet he shot a woeful 31% from three last year… crazy considering he shot about five a game. I think his inefficiency stems from poor, Justin Cherot-like shot selection. Merely pumping his percentages to 46-38-85 probably puts him around 18-20 points per game. Is that completely unreasonable? Adding Ish Smith didn’t move the needle much in the off-season, but suddenly it’s looking like a savvy move. If the Pistons can somehow hover around .500 during Jackson’s absence, they could sneak into what could be a mad scramble for the six, seven and eight spots. As of today, however, I don’t see it happening.